Located in Athol, Idaho, this is a great way to earn money. We are looking for motivated, high energy, positive people to join our team. There are many different positions available including aerial adventure guides, office personnel, and low elements facilitators. Fun, dependable people please apply! Please see below for more details on the positions, but all jobs require the applicant be able to adapt to an ever changing climate in a fun, small, family-business environment full of passionate people. 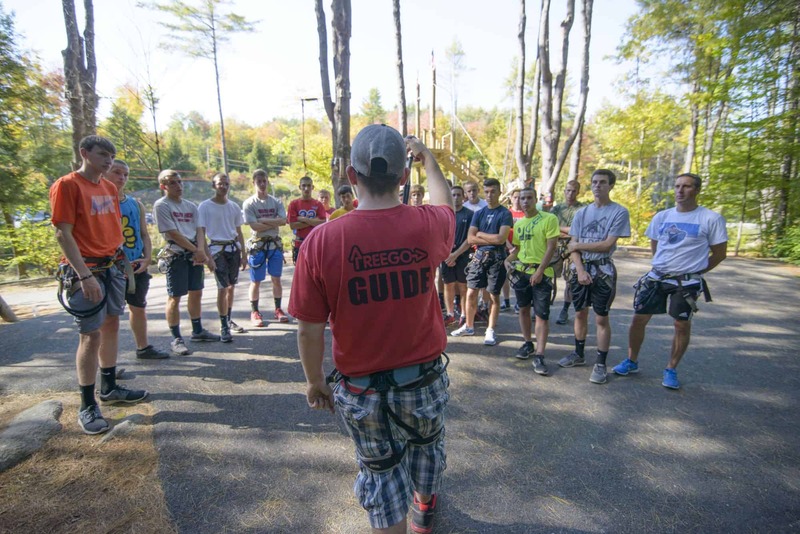 Aerial Adventure Guide- Climbing experience preferred but not mandatory, be first aid and CPR certified and not have a fear of heights! The ability to articulate and demonstrate rules and procedures to customers is crucial. We provide on-site training for our course safety policies. Several positions available, compensation DOE. Office Personnel- Candidates should be quick learners, able to stay on task through multiple interruptions, organize and prioritize, possess strong people skills, and respond to customer inquiries/complaints in a friendly manner. Applicant must be able to handle busy phone lines, provide quick detailed information/rules to customers in a succinct, understandable manner while gathering reservation information. Experience required with Gmail, Google Docs or all Microsoft Office Applications, soft copy file management including saving in folders and retrieval. Many positions available, compensation DOE.